Hi, Welcome to Louise Isobel Designs. 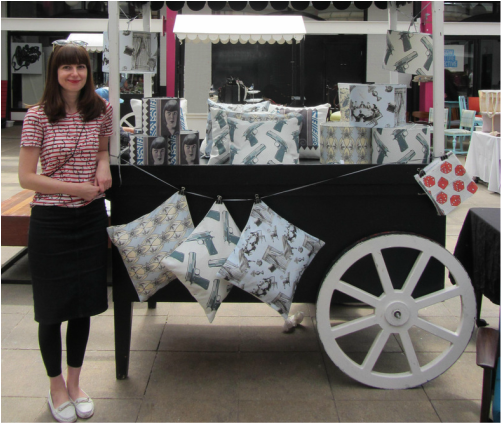 I am a textile designer based in the westend of Glasgow. I studied Decorative Arts at the University of Glasgow before becoming interested in print-making and pattern design. I use a combination of vintage images and original drawings to create my designs which are digitally printed onto a range of fabrics and wallpapers. Digital printing uses far less chemicals than traditional printmaking techniques and is therefore better for the environment. Remember to search for Louise Isobel Designs on Facebook and Instagram for news and exclusive offers.